Ford broke ground for the Wixom Assembly Plant in 1955, "shortly after the company went public in what was then the largest initial public offering of stock in U.S. history," according to one article. It was built as the new headquarters of Lincoln, once Ford Motor Co. established it as a standalone brand, and the town of Wixom grew around it at the dawn of the mass exodus from Detroit commonly known as "White Flight." The plant stands along I-96, though when it was opened the freeway had not been built yet. Undoubtedly, there were assurances from highway commission and state officials that one would be built soon near the plant. Most of the original Lincoln Motors plant still stands in Detroit along Livernois Avenue at Warren Avenue, now occupied by Detroit Edison. A line in a Detroit News article states that the town of Wixom wouldn't have existed without the Ford plant, but luckily the local officials in Wixom saw the closure coming, and had been making preparations long in advance by diversifying town with different business sectors. By the time the plant shut down for good, the city of Wixom only derived 11% of its total revenues from Ford Motor Co.—down from 50% in the 1990s. Production began with the 1958 model year, and the plant produced two of Ford's most prestigious products—the Lincoln Continental, and the Ford Thunderbird. In fact it was the legendary Thunderbird that was most identified with this plant I think, and I myself have owned two T-birds: a 1978 and a 1996, both of which rank as probably the best cars I ever owned. An archived page from the Media.Ford.com website entitled "Production Ends at Wixom Assembly Plant" states that production ended on May 31, 2007 at 12:55 pm, "when the last vehicle, a 2007 White Chocolate Lincoln Town Car, rolled off the assembly line." A "wake" for the plant was held on May 19 by the former employees of the plant as a way of saying goodbye to their workplace. That last Town Car was shipped and sold to a customer in Gaithersburg, Maryland. 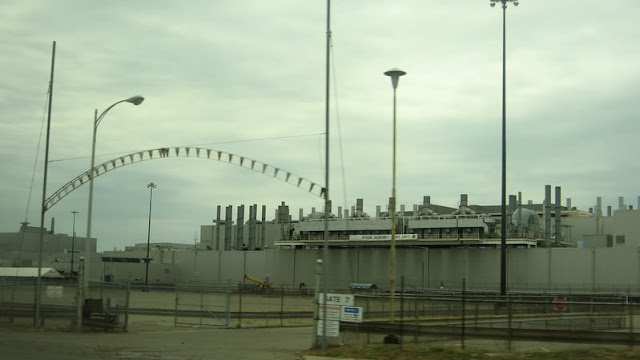 By that point the plant had produced 6.6 million vehicles in its 50 years of operation and had a current roster of 1,100 employees, whereas in 1973 the plant employed 5,468 workers. 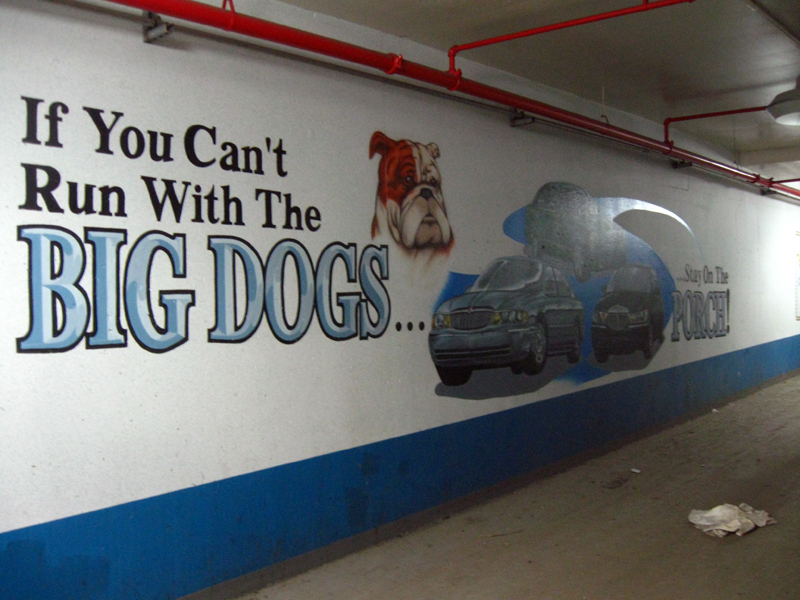 The Detroit News article stated that at its peak in 1988, the plant produced 280,659 vehicles per year. In 2007, it barely cleared the 40,000 mark. 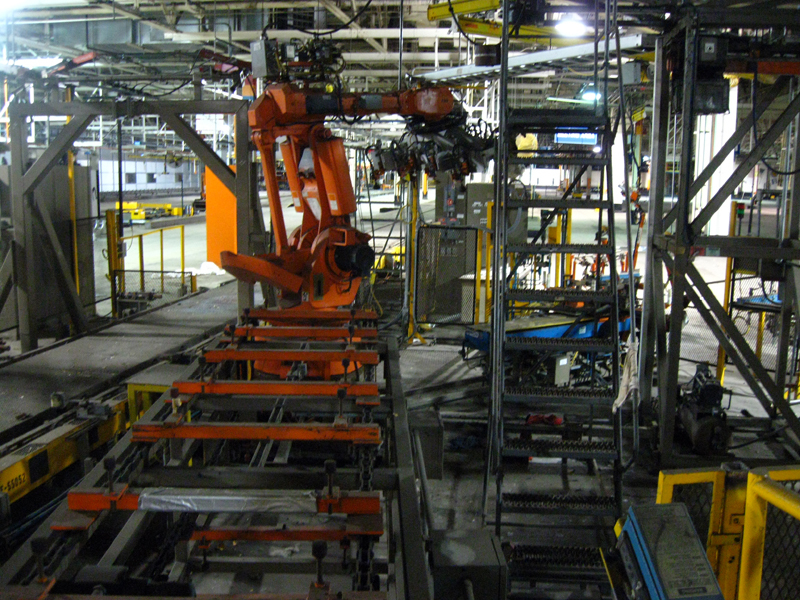 Throughout its history Wixom Assembly was "routinely hailed for its cutting-edge technology, its quality and productivity." According to a 2008 article in the Free Press, Wixom Assembly was the most profitable plant in the industry during the 1980s when Cadillac decided to downsize its lineup and customers looking for a full-bodied luxury car turned to Lincoln. Wixom production totals suffered a hit in the 1990s however as the regrettable SUV fad set in and customers chose Navigators over Continentals. 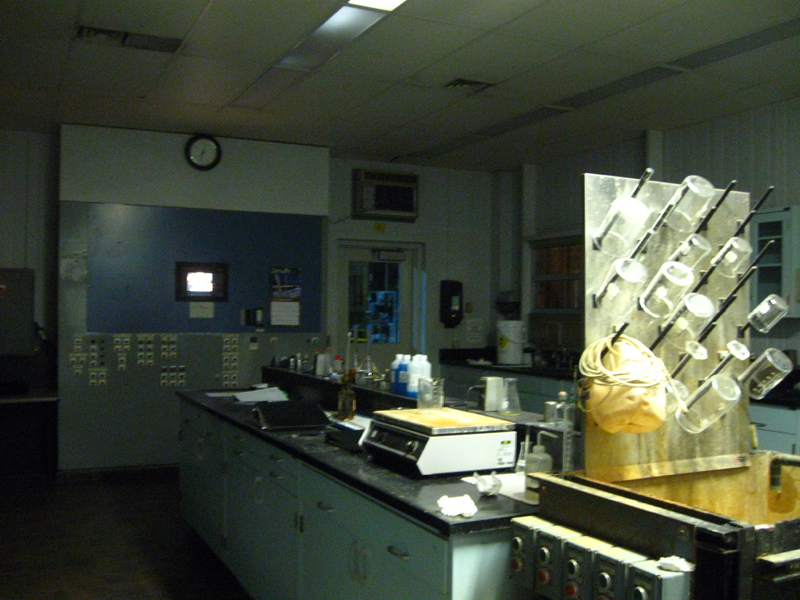 The plant remained unsold as of 2009, and a few ideas floated around as to a reuse. 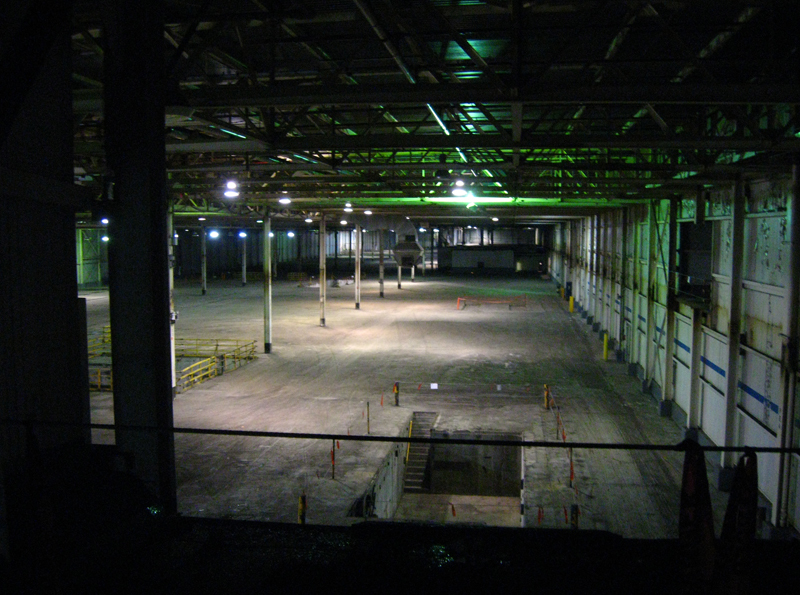 The two main (and predictably faddy) reuse options were to turn it into a movie production site to benefit from the Michigan Film Incentive, and to make it a "green energy production plant." Both plans would keep the original factory mostly intact and reuse the space as it stood. I believe the "green" idea was to use the plant to build the new faddy windmills that Governor Granholm was so excited about foisting on the state. Obviously neither of the two main ideas for the site has come to fruition yet, and by the summer of 2013 the plant was completely demolished. 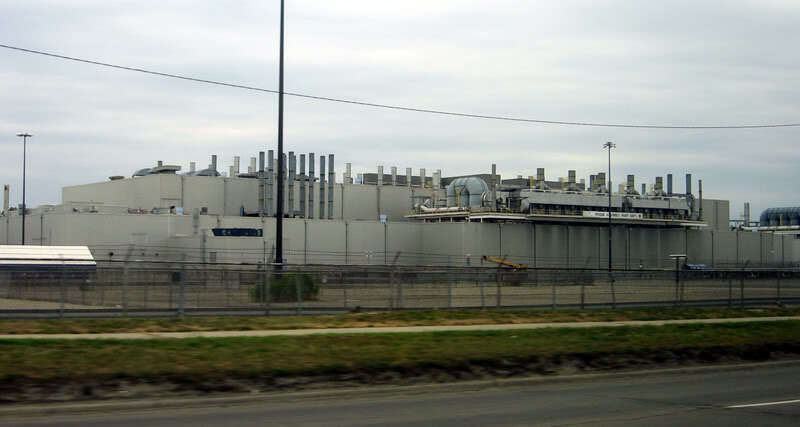 Production of the Lincoln Town Car was moved to the St. Thomas Assembly Plant in Ontario. 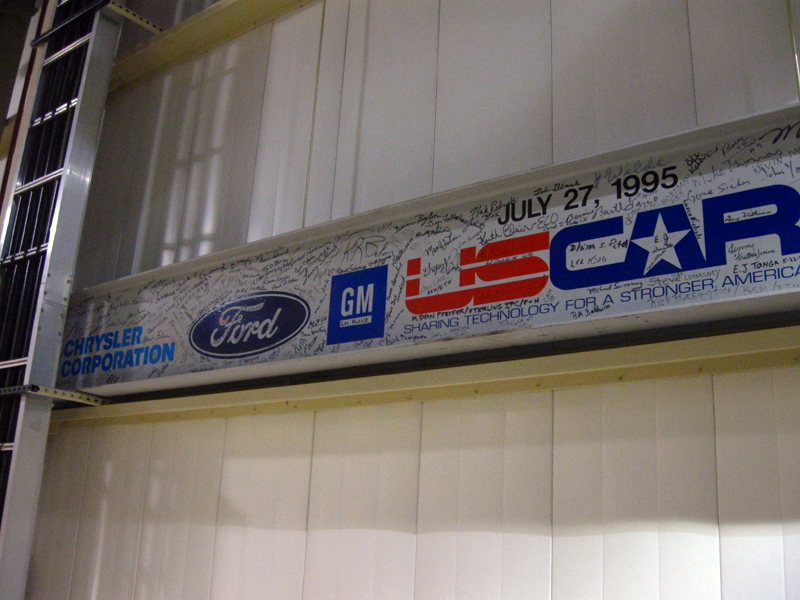 Wixom was among the up to 15 other Ford facilities that were slated to be idled under the "Way Forward" plan at that time, to "return the company’s North American automotive operations to profitability." 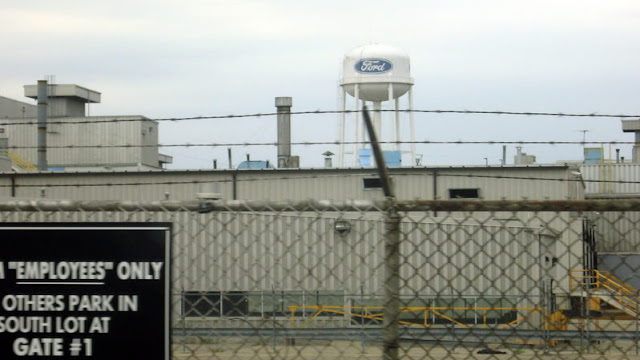 Michigan Governor Jennifer Granholm offered Ford over $100 million in tax cuts to keep the plant open, but the company still insisted on closing the site. You may notice a progression from left to right...first the body panels are stamped in the Body Shop, the unit is assembled in the Assembly Building, and finally the bodies are painted in the Paint Shop before rolling out the back doors on to the train cars that are sitting on the railroad spur there, which also conveniently served as our clandestine route into the plant. We however followed them all the way to the Water Plant, where we knew of a way in. It was late; we began this mission at about midnight, and I had guzzled a large coffee before the hike in because I knew we were in for a long night. 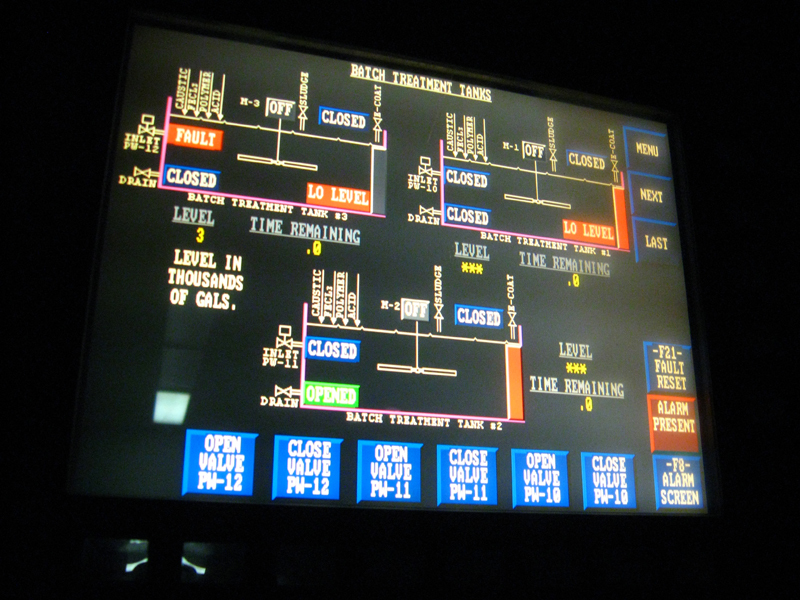 We were both somewhat nervous, since we knew that multiple security units guarded the plant, and that all power and lighting to the complex was still active. We weren't sure if the guards actually patrolled inside the buildings, but we were about to find out. We did know that during the day, contractors were working in the plant continuing the dismantling or refitting operation for whatever the plant was supposedly about to be used for next. We planned to enter the main plant via the roof of the Assembly Building. By this point I had been in a few modern auto assembly plants, but this was by far the freshest and most intact. It was like we had merely stopped in during shift change, or a shutdown for retooling; it felt like we were merely here to punch in for the night shift. 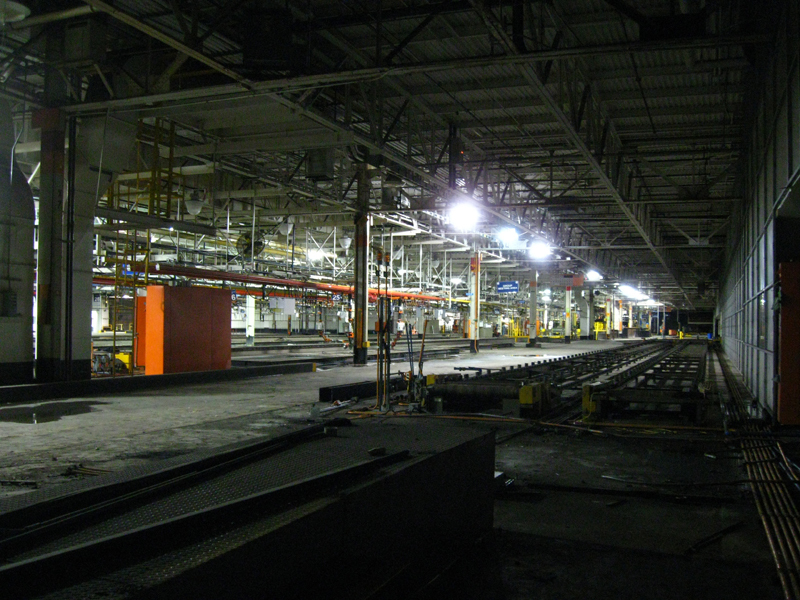 Wixom was also the largest I had explored by far; the Oldsmobile VerLinden Assembly and Pontiac West Assembly plants only stood at 2.6 million and 1.7 million square feet respectively, compared to the 4.3 million here. Here is a more zoomed-out view, from Google Earth, c.2005. We operated under extreme caution for the duration of our visit, because we knew that if the guards were somehow alerted to our presence, being that this was Oakland County suburbia, police were guaranteed to respond. It was too far of a run back to our cars, so we would be forced to hide out in here somewhere, and hopefully not freeze to death. 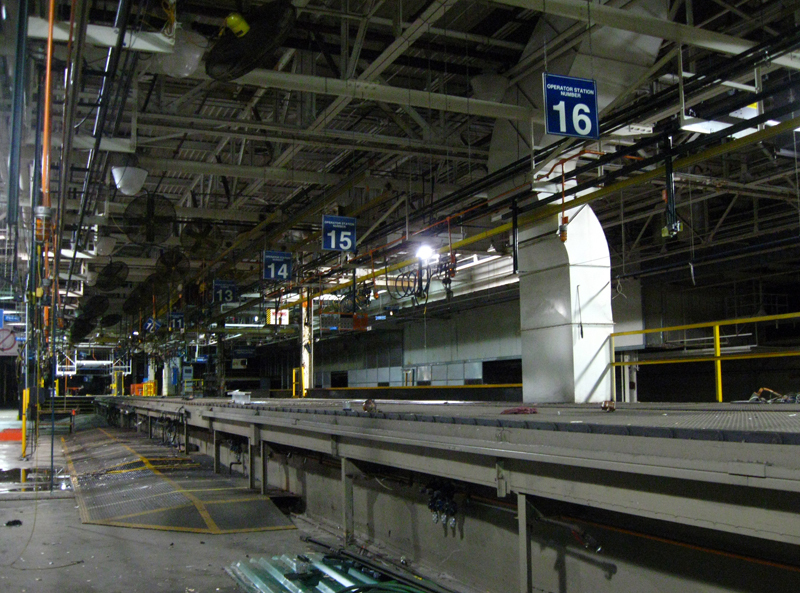 The conveyors of the assembly line snaked throughout the entire place and connected the various buildings. 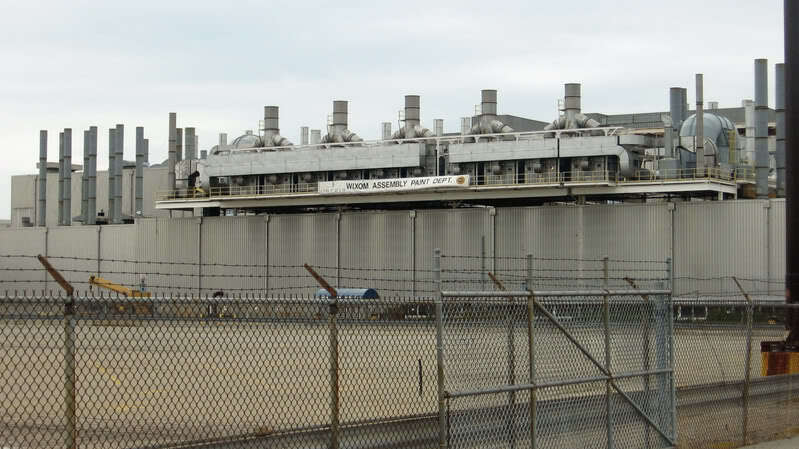 This area was actually on a second story of the plant as opposed to ground level. It was bitter cold that night…17F and windy. The cold weather made the all-steel plant emit all kinds of strange noises as it contracted, which gave us pause many times while we nervously listened to see whether it was the sound of a security guard nearby. Though it is dark and hard to see, in this area several conveyors converged like tributary streams to form a raging river. 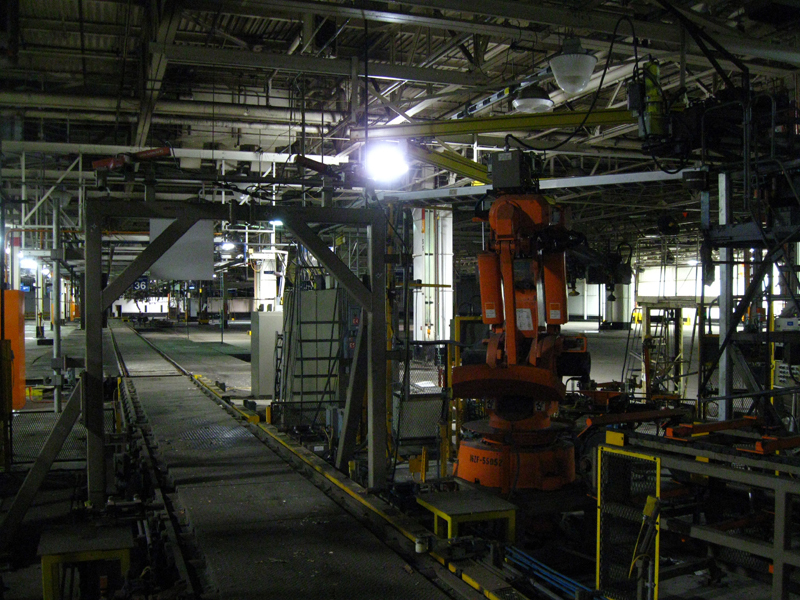 We entered the plant after midnight and stayed there until 6am. We had a full run of the complex, except for a few places that were blocked by ice floes. The guards continued their vigil at the front gate, with eyes locked forward, apparently oblivious to what we were doing behind their backs. We found the Paint Shop to be brightly lit and in mint condition. 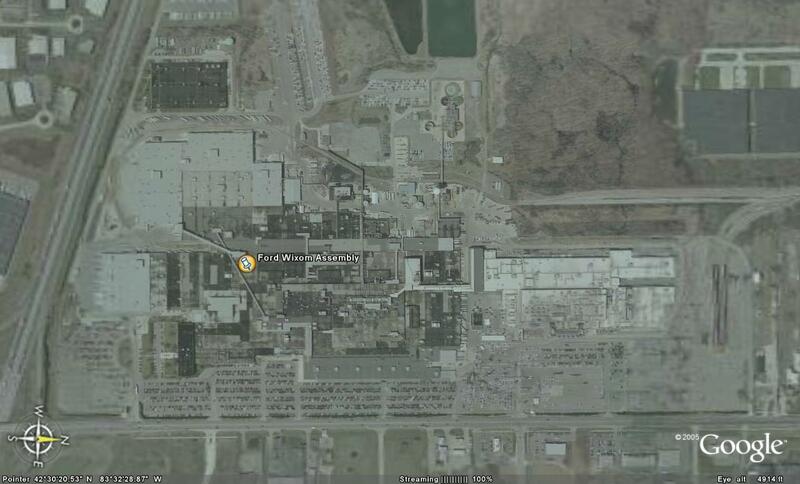 On November 14th of 1996, the Wixom plant was actually the site of a murder. A man who had dated an employee of the plant walked in "dressed like Rambo" with an AK-47 and randomly began shooting people, killing a manager. The man also hit several other Ford employees and two Oakland County deputies during the episode, before eluding authorities for several hours by hiding in the drain tunnels outside of the plant. It had been "at least the fifth" shooting at a Michigan auto plant in the past two years according to the Chicago Tribune. 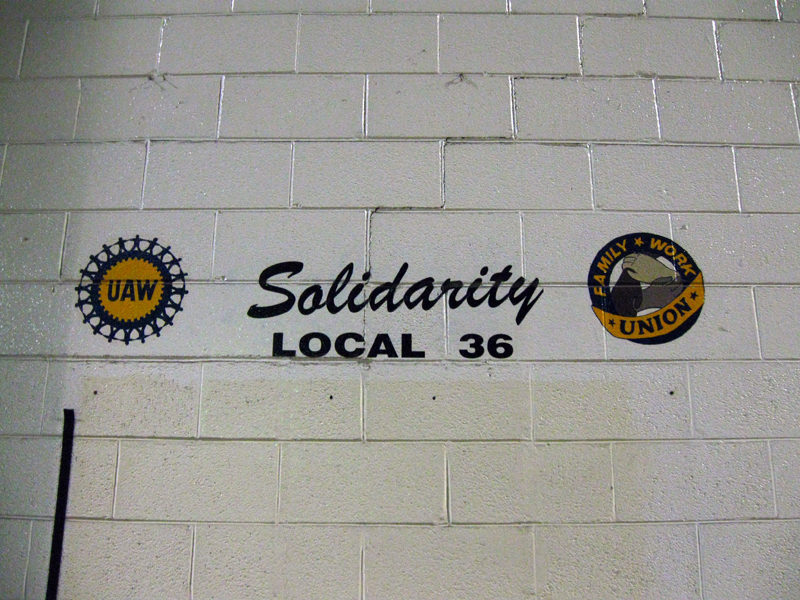 Wixom Assembly had its own UAW chapter, Local 36. The UAW formed Local 36 in 1957 for those auto workers who were either hired into Ford or transferred from plants covered by Locals 400, 600, and 900 to build T-birds and Continentals at the new Wixom plant. Surprisingly, Local 36 won the J.D. 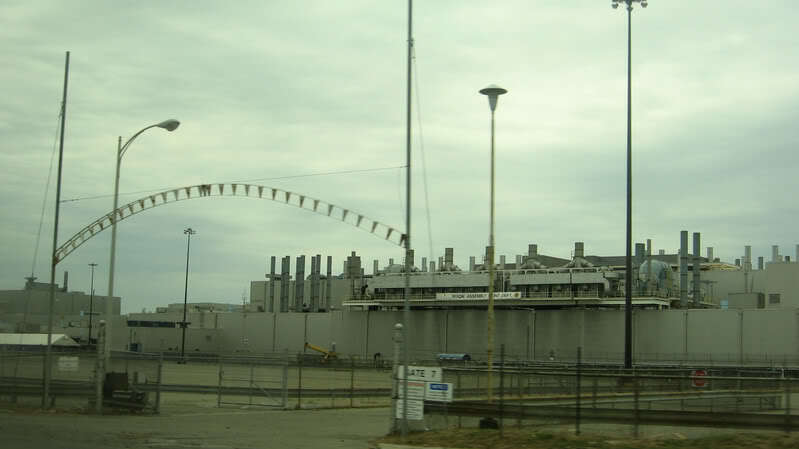 Power Platinum Award as the top quality plant in the world in 2007, the year it closed. 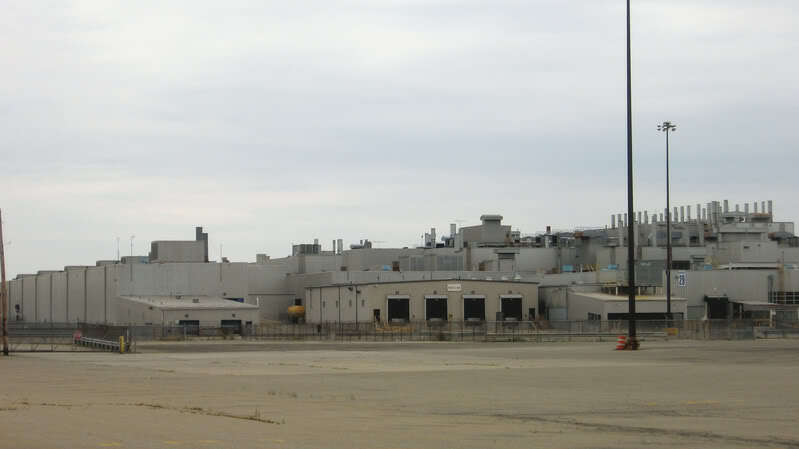 Usually production quality slips once word gets out that a plant will be closed, yet Wixom had the lowest defect rate that year of any auto plant in the world, according to the UAW. 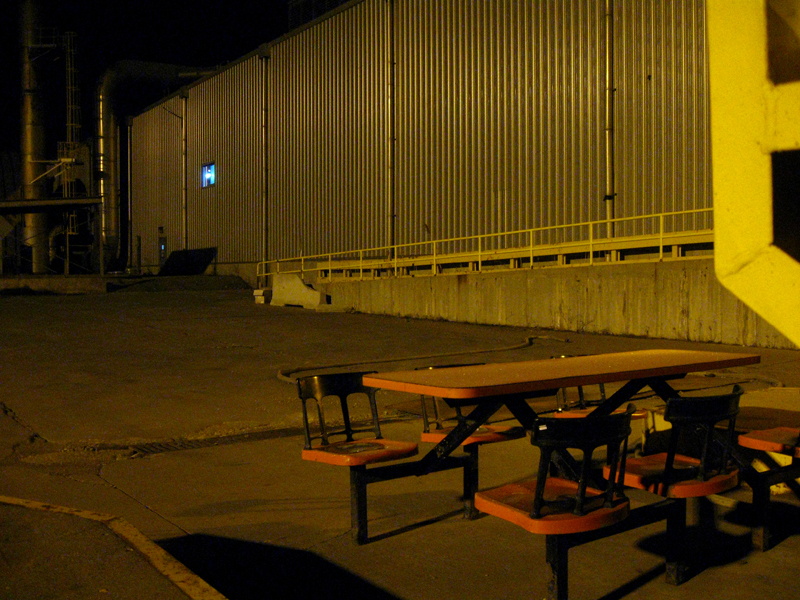 We came through a few spaces during our explore of the plant where it was just utterly pitch black, that from the loss of echo of our cat-soft tiptoe steps, and feeble light cast from our candle-dim flashlight beams illuminating the smallest details of seemingly immense machinery cloaked in the inky blackness, we could tell we were standing inside of a space that was just absolutely cavernous and unfathomably vast. However, like rats slinking silently through the soaring grottoes in the unknown bowels of the earth, it was impossible to gauge the true scale of what we were wandering through, or get any usable photos. 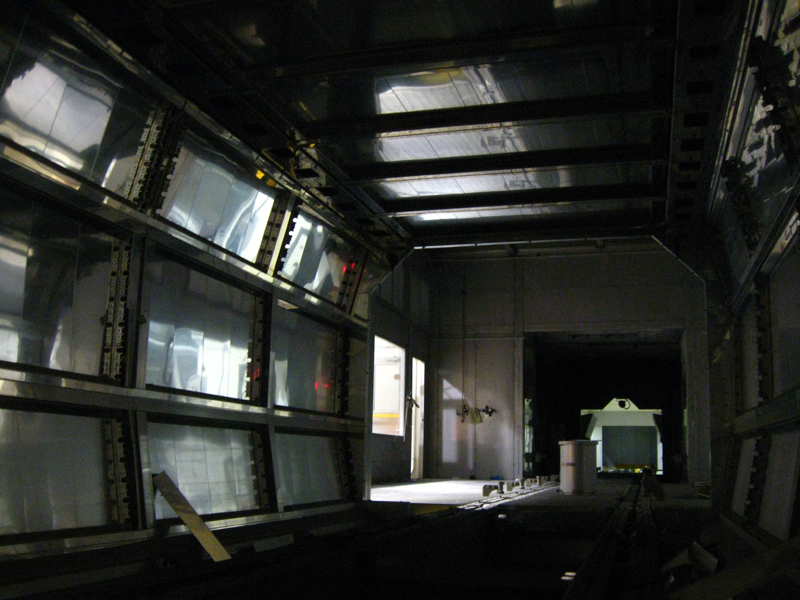 When making our escape, we opened a door to a break area in the rear of the plant and made a beeline for the woods.